An incredible Saturday morning saw the U11 NACIS football team lift their first trophy as champions. 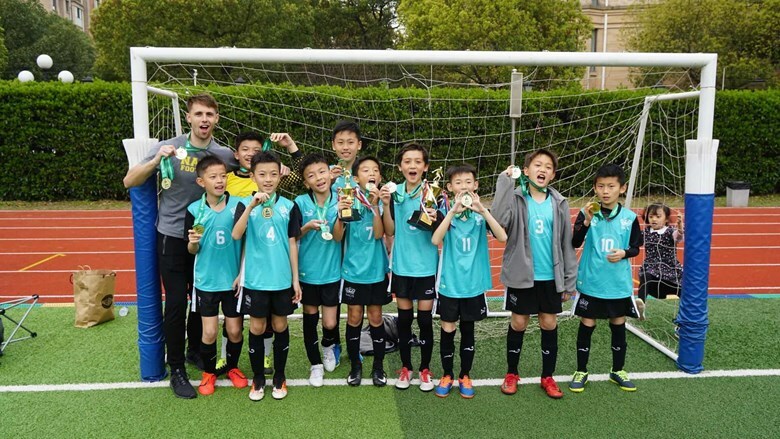 They traveled to Hongqiao SUIS and left with the cup! With 8 teams in attendance, this was a huge achievement for our team. Our first group game was a tense affair with defenders Jeremy Ye and Kevin Shi showing some incredible determination to limit our opposition to only a few chances. With the game looking destined for a stalemate, Jacob Zhang stood over a free-kick 15 yards from the opposition goal. He only had one thing on his mind as he hammered the ball into the roof of the net to get NACIS off to the perfect start. NACIS 1-0 FDIS. NACIS had a secret weapon for the second game – the arrival of captain, Jayden Coan. He took only minutes to score the only goal of our second game as he carved through the opposition defense to tuck the ball into the bottom corner. He celebrated with some very interesting dance moves! With Evan Peng between the NACIS goalposts, the opposition never stood a chance to score as our excellent goalkeeper made several key saves to see us to our second victory. NACIS 1-0 KCIS. With two wins from two games, our chances of qualifying for the semi-finals were looking good but NACIS needed a point to be sure of qualification. Leo Guo, making his first appearance for NACIS, cut inside his defender and rifled an unstoppable shot into the top corner with just three minute on the clock. NACIS then relaxed a little too much with one eye on the semi-final as they conceded two goals thanks to the excellent attacking skills of the opposition striker. With just two minutes left on the clock, Jacob Zhang once again stepped up and headed into the top corner to get the all-important equaliser that NACIS needed. This game showed the character of our squad as they worked for each other to earn their reward. 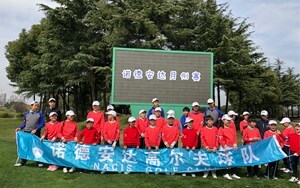 NACIS 2-2 Hongqiao SUIS. The semi-final was a real nail-biter! Miles Zhang and Vincent Wu caused havoc in the opposition defense with their amazing dribbling down either wing. Despite creating some excellent chances, NACIS could not find that all important goal. We were searching for someone to step up and deliver the crucial goal that would take us into the final. Thankfully, Jayden Coan did just that! After winning a free kick 20 yards from the opposition goal, the result was never in doubt. He sent a curling shot around the wall of defenders and into the top right corner, leaving the goalkeeper no chance. NACIS 1-0 SHSID. In the final, we came up against Hongqiao SUIS again. After narrowly surviving defeat in the group stage, NACIS ensured there would be no repeat of that result. With Jackson Wu flying down the wing, NACIS scored four fantastic goals to march to the title! Jacob Zhang, who was awarded the tournament MVP by the 8 coaches, ensured NACIS started perfectly by dribbling around his defender and sliding the ball into the bottom corner. Jayden Coan then scored a spectacular second goal for NACIS as he sent an unstoppable shot past the goalkeeper. It was then time for our main striker to get in on the act. With two excellent goals, Jude Zhu made sure NACIS won the tournament and went home with the cup. Respect yourselves, team mates, opposition and referees. 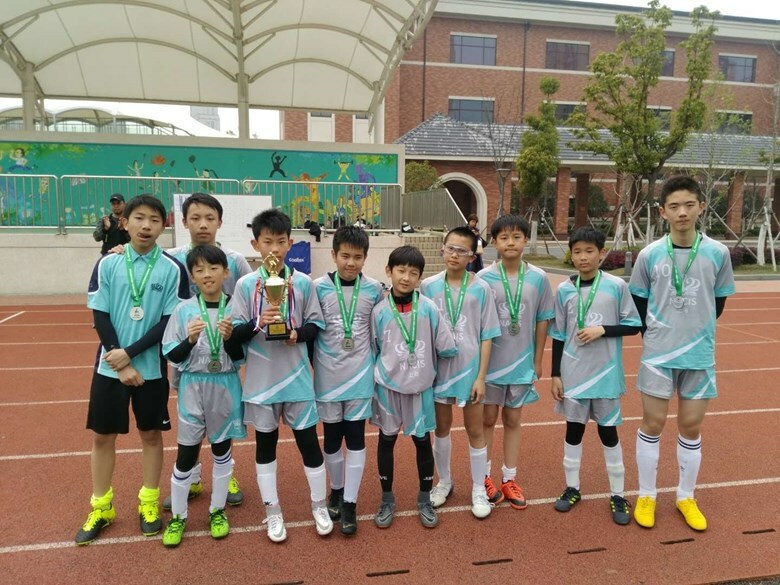 The U13 boys team took part in their third tournament of the year. 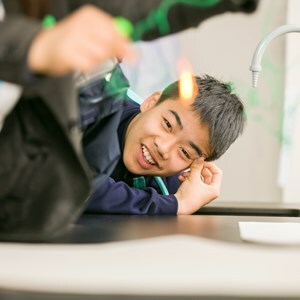 They went into this competition with high expectations having won the previous event. 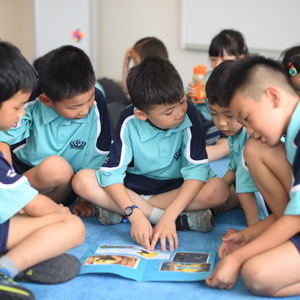 They played extremely well in the first game against SUIS Pudong. The game finished 2-1, with the goals coming from Kevin Gao and Justin Hou. They then beat the hosts KCIS 2-0 (goals by Andy Wang & Yuki Ye) in game 2 and finished the group stages with a 0-0 draw against SHSID. This meant that we finished second in our group and would play SUIS Gubei in the semifinal. This game proved to be our best performance of the day and we were victorious by 4 goals to 0. Kevin Gao scored two, while defender Tony Lu scored from a fierce 25 yards thunderbolt. This was the easily the goal of the tournament. Sean Hu scored the fourth to cap off a resounding win. The final was a tense affair and saw us again play SHSID. Our team were fantastic but unfortunately, they were unable to secure the result their performances deserved. The game finished 2-1 (goal by Kevin Gao) to SHSID. Nine teams took part in this tournament and our boys can be proud that they took home the silver medals. Goalkeeper Thomas Zhang was also picked by coaches as the tournament MVP. Our U15 boys football went into this SSSA tournament full on confidence having been beaten finalists in the previous tournament. Our first game saw us avenge the previous finals result winning 1-0 against a very strong SHSID with an excellent defensive display from Jack Da and William Xiao, Ryan Wang capitalized on a defensive mistake to score the only goal of the game. We moved into our second team against an unknown opposition SUIS Jiaoke after a slow start the boys soon got back to their best with a comprehensive 5-0 victory thanks to goals from Wiley Hang (2), Gary Yan, Joe Ni and William Bu. Our final group game was a scrappy game and after some hard work we managed to tie the game 1-1 thanks to an outstanding goal from Jack Da. We moved into the semi-final full on confidence against a physical and hard-working Jin Cai team. Unfortunately, the team underperformed and were beaten comfortably 2-0 by Jin Cai. 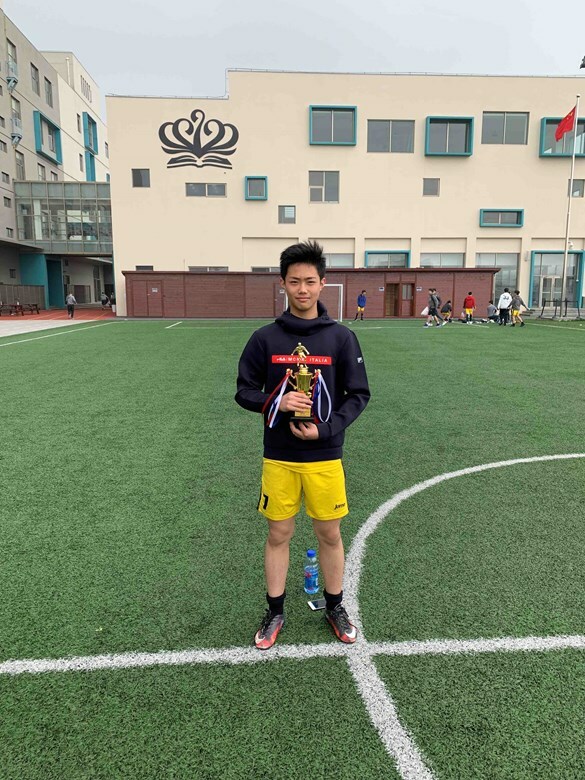 Ryan Wang picked up the MVP award with another hard-working display, Ryan competed for every ball and never gave up in any game something which we can all learn from, well done Ryan! We returned to SUIS for the girls’ tournament on 30th March, for another successful student lead Table Tennis Tournament. Just as they did before students had to arrange the schedule together and umpire each other’s games. 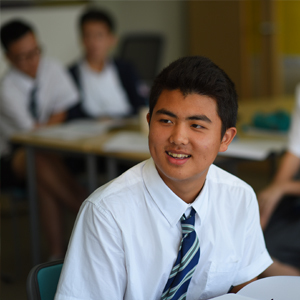 A format the students are now very used to and something that is developing their all around sportsmanship. 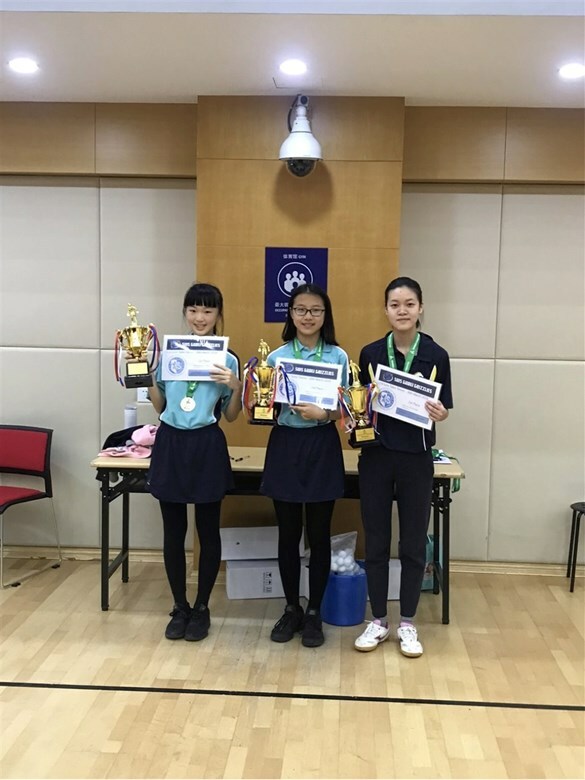 During the competition NACIS competed in the U13 Girls with Kelly Ji, Tiffany Tao and Kelly Zhou; and the U15s Girls Tournament with Apple Wang, even though she is only 12 years old. 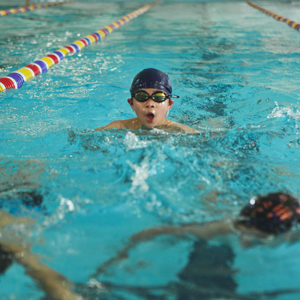 In the U13s there were nine competitors in total. All the three girls competing won and lost some games with Tiffany beating Kelly Ji in her first game in the pool. Kelly bounced back from this to not lose a single game from this point on and claimed the U13 Championship. Kelly Zhou, in only her second ever tournament, came in 3rd place winning all games in her pool on the way to the championship pool. Apple entered the U15s where the standard was to a much higher level. She managed to win all her games and was crowned Champion of the U15s. In a friendly tournament to increase game times Apple also played against the U19s Champion and also managed to defeat her, remaining completely undefeated on the day. There was great teamwork between all girls at the event. They even played doubles together from different schools. This was a great opportunity for students to develop another side to their games. 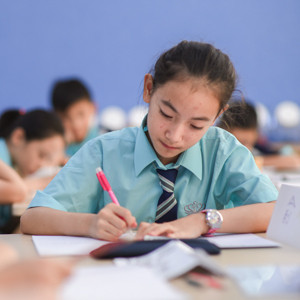 We are delighted to share with you good news about Celine Fu’s achievement in her sailing race. 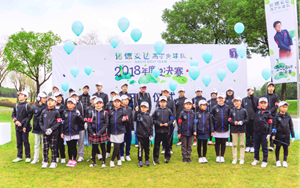 According to the letter from Celine’s father, Celine, from 7 Cedar, took part in the Meisha Cup CYA Youth Sailing League—Shanghai Station from April 5 to 7. 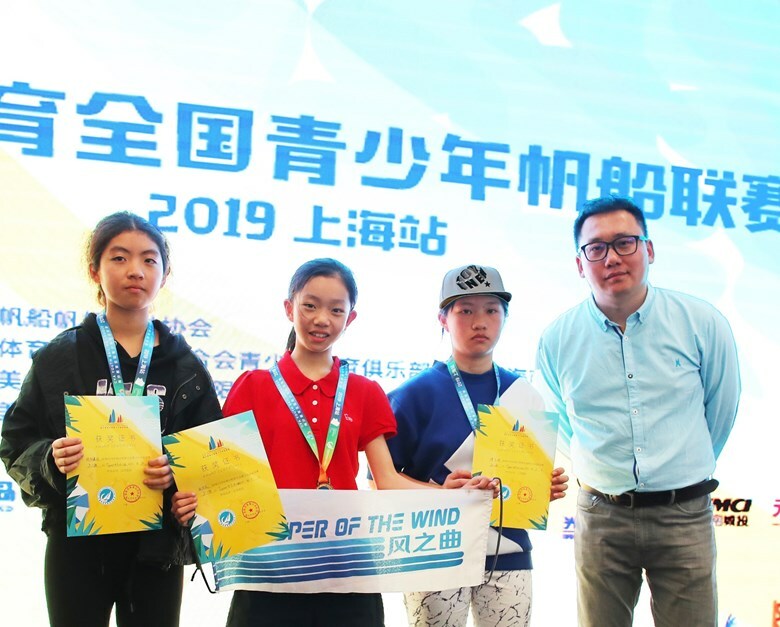 After nine rounds of competition in three days, Celine finally won the third place in TOPPER Girls 4.2 Sailing Group, which made her qualified for the 2019 Topper World Championships. In July, she will head for Netherland for the world championships. Let's congratulate Celine on her outstanding achievement and wish her the best in the world championships in July!